When it comes to paranormal television shows, I want to believe… but I’m still skeptical. Usually, I’m in it for the haunted history and entertainment value, but I take it with a grain of salt. 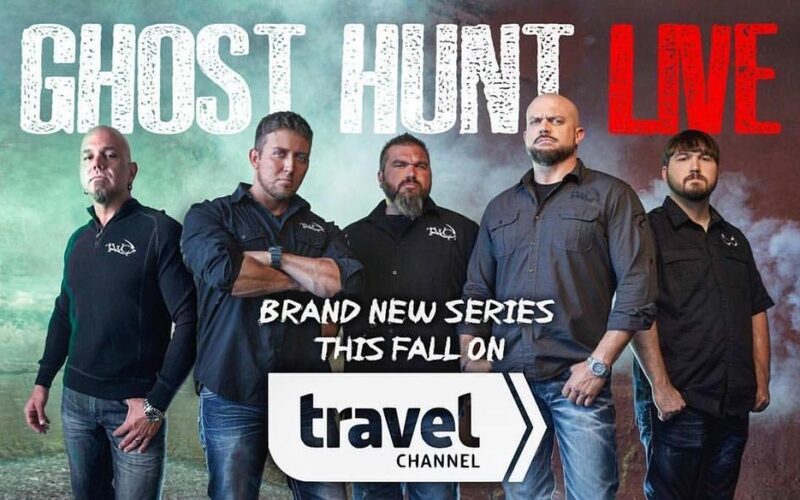 So, when the Travel Channel offered up Haunted Live as an interactive experience taking place in real time on TV, I was interested and had to tune in to see what it was all about. Airing on Friday nights at 10|9c, anything can happen on a live show. The fear of the unknown can be both good and bad. But for a live show to investigate reportedly haunted locations, while taking notes from the viewers, something could very easily go wrong and ruin the entire production. Alternatively, nothing could happen, whatsoever, except for dead air (pun intended). In the pilot, “9-14-18,” the Tennessee Wraith Chasers visited the Octagon Hall Museum in Franklin, KY, which is a small town that’s labeled as “one of the most haunted places in all the South.” Apparently, there was a family’s unfortunate past and a link to Civil War soldiers’ deaths on the property. Perhaps their spirits still linger there to this day. Chris Smith, Steven “Doogie” McDougal, Scott Porter, Brannon Smith and Mike Goncalves make up this team of ghost hunters, who often call themselves “good ole Tennessee boys” throughout the episode. Before their investigation, the guys huddle for a group prayer and ask for protection during their investigation. Audience participation is encouraged, directed to the Travel Channel’s Facebook page, where the Facebook Live feed was ongoing and viewers are asked to give feedback on what they might see. Apparently, there’s rumors of an over-protective, aggressive shadow figure at the location, but this unknown dark entity never really made its presence felt. The guys tried to reach out to the family’s young daughter, who died after suffering major burns at the age of 12. A couple of times, the guys replayed their digital audio recorders and seemingly on cue heard voices, but I never heard them. There’s a reason all of the other ghost hunting shows aren’t live: There’s lots of editing involved in order to showcase the highlights after lots of hours of looking for paranormal activity. There were cameras located in four “hot spots” within the building, but from the TV screen, I did not see a whole lot of activity. Facebook Live watchers claimed to see orbs moving around, a pair of boots and a children’s doll move, but none were shown on TV. Promoted as “the ultimate paranormal experience,” the guys seem likable, but this format feels like a gimmick. And the over-dramatic and overacting host, Jesse Blaze Snider, isn’t helping matters much. Multiple times, the guys tried talking over each other, instead of quietly trying to communicate while listening to their equipment’s reacting sounds. Maybe, by the second episode’s investigation, it’ll run a little smoother. Or maybe the crew will find some hard evidence with the assistance of an audience. That’s a scenario Travel Channel would gladly hunt for, along with monster ratings.